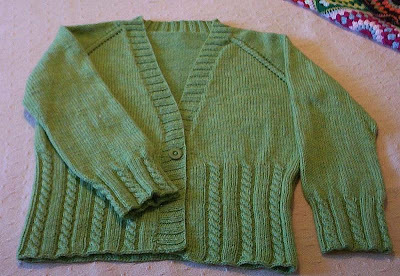 Both of these cardigans are for Mum, and I'm rather ashamed to say that the Lady Kina has been on the needles exactly two years today! The Simple Spring Swing Cardigan has been finished a while, but I have to frog and reknit the button bands. 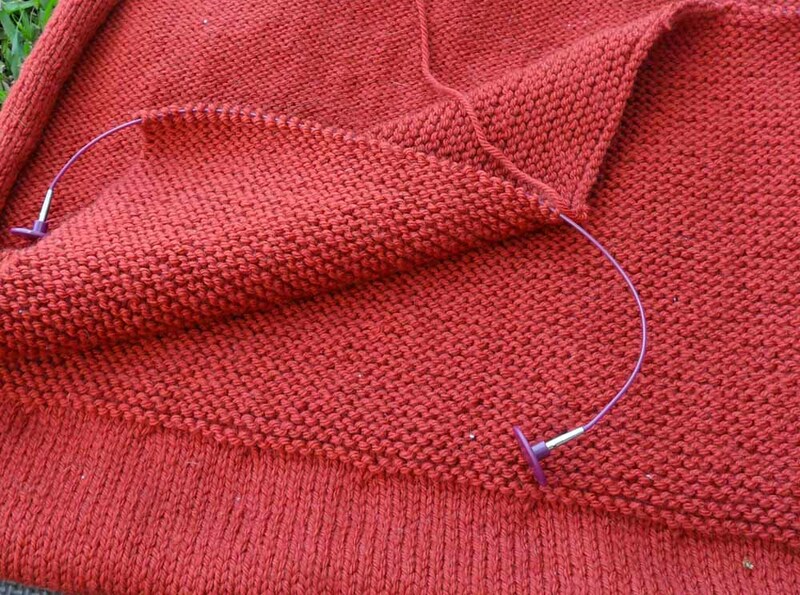 The bands are tight, as I didn't pick up quite enough stitches, and this makes the bottom corners of the cardigan turn upwards. 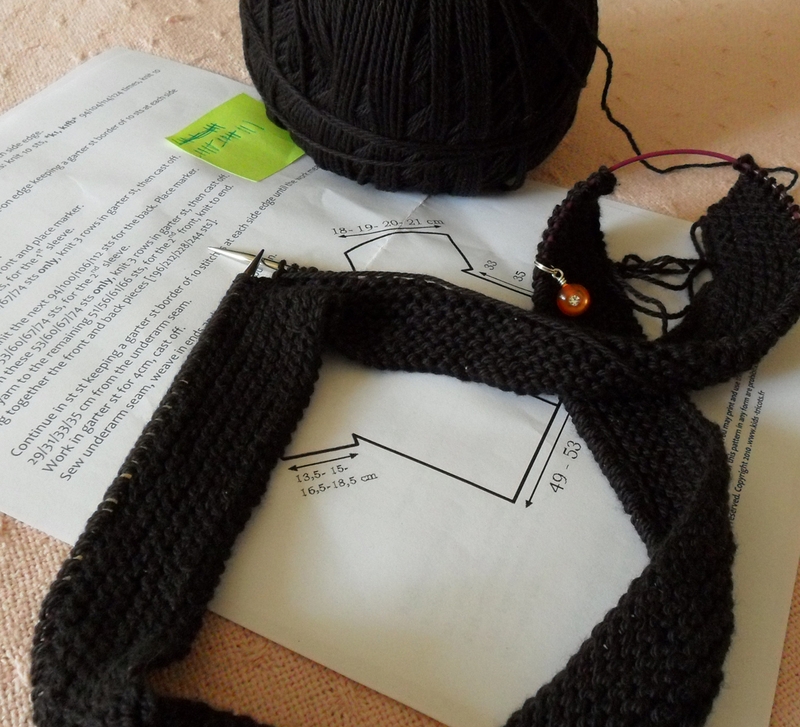 Of course, I'll also have to frog the row around the neck, as it was the last to be knit :\. The frogging and knitting in total is 15 rows...but you'd think I have to start from the beginning, it just feels like such an effort. Getting these two off the needles is my goal for January. 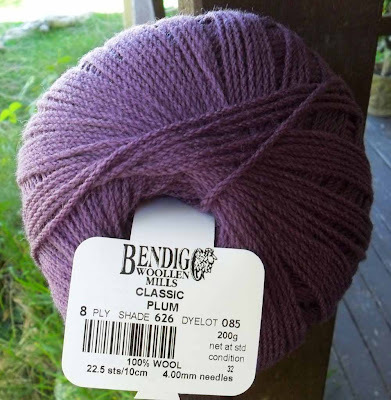 ...finding the perfect pattern for this gorgeous wool that was a birthday gift from Mum last year. I have been marking candidates on Ravelry. That's right, through those knitting villains out there! ^.^ I need to make me some goals for 2013 too!